From 29 March to 2 April, representatives of the EU Islands Secretariat visited pilot island La Palma. 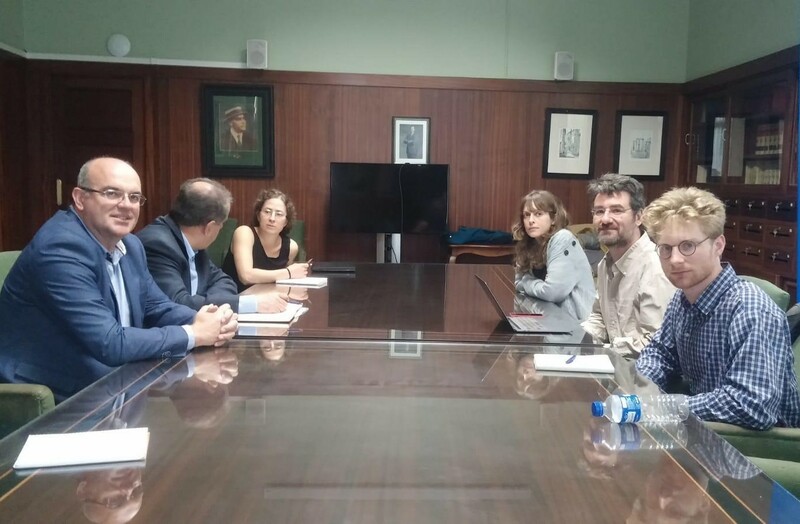 They were received by people from La Palma Renovable, a project financed by the Cabildo of La Palma that aims to reduce energy consumption and increase renewable energy production on the island. The Secretariat team further met the enthusiastic members of the citizen platform Plataforma por un Nuevo Modelo Energético (Platform for a New Energetic Model), who were at the origins of the clean energy transition on La Palma. The members of the Plataforma introduced the Secretariat to the beauty and particularities of La Palma, and shared their insights from the island's transition journey. La Palma, in all its diversity, offers several opportunities for renewable energy and energy efficiency projects. The island’s volcanic activity means that geothermal energy could meet part of the island’s energy demand. Research towards its potential is currently ongoing. The telescopes of the Roque de los Muchachos Observatory make up a significant amount of electricity consumption of the island. This could be used as a source of flexible demand to allow a higher penetration of renewable energy sources in the island’s power system. Different opportunities for clean energy transition were discussed during the visit, including the importance of self-consumption and community participation. The Secretariat met with more than 20 people from a wide range of companies, organisations and initiatives. We look forward to continuing the collaboration with La Palma and to provide methodological support to develop their Clean Energy Transition Agenda. Visit La Palma Renovable or follow them on Facebook (in Spanish). Visit the Plataforma para un Nuevo Modelo Energético (in Spanish). More information is also available in English on the Secretariat's interactive map.